Wood roaches are similar in appearance to the household cockroaches, but they live exclusively outdoors. They live in rotted logs, tree stumps, hollow trees and under the loose bark of dead trees and firewood. Wood roaches prefer to eat decaying organic matter and are attracted to light, whereas most roaches run from the light. Up to 1 1/4 in. Oval-shaped bodies. Females have small wing pads yet are flightless; adult males have fully-developed wings that cover the entire body. In a lifetime, females can produce 30 egg capsules, each containing up to 32 eggs. Eggs hatch approximately one month after being laid and maturation can take up to 9 months. Unlike other species, wood roaches are not likely to flee when approached. Wood cockroaches primarily reside outdoors, including woodpiles, under debris or under piles of leaves. They primarily are nocturnal. Males of the species are attracted to light and will fly toward any illuminated object. Wood cockroaches rarely make their way indoors because they require constantly moist conditions to reproduce. Clearing plant debris from around your home as well as sealing exterior cracks are good measures to keep out wood cockroaches. Since male wood roaches are attracted to light, turning off exterior lights or even changing exterior lights from white halogen/fluorescent bulbs to yellow bug lights may thwart the pests. 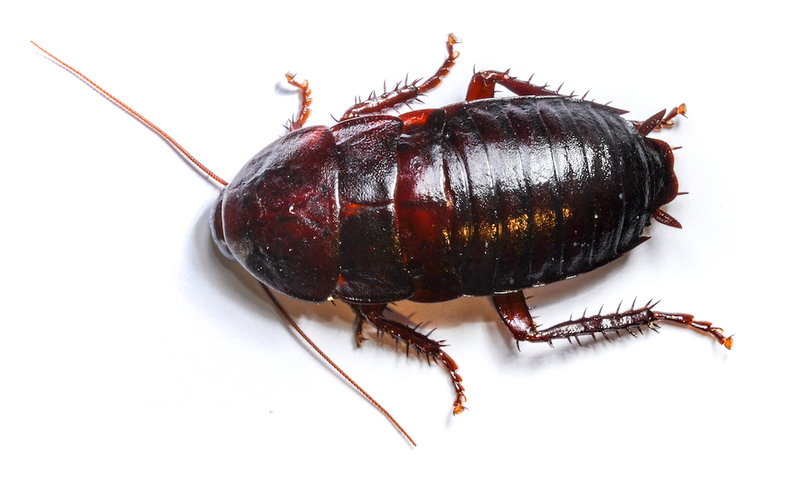 If you have seen roaches in your home, it is best to contact a pest control professional first to verify what species is lurking around your home and then treat it accordingly. Find out more about cockroach elimination options.